The category "LOGO DESIGN" and "SOCIAL MEDIA / PRINT DESIGN", are Threads and posts are visible only to creators and moderators, because design requests are kept strictly confidential! Please read the F.A.Q. ➚ before you post a design request, most questions and answers can be found there. GameChanger is the ideal style for gamers and communities who value a fresh modern style. The design has 4 additional box styles (boxStyleMainColor, boxStyleLight, boxStyleDark and boxStyleRound) which are added to the standard boxes. GameChanger is available in 7 different colors as a package, perfectly matched. Divisionary is the ideal style for gamers and communities who value a fresh modern style. The created jobs in this area are only visible for the the creator and LoSti's World. You want to buy a logo from my shop➚ ? Order a logo for you or your clan here. Order a logo for your company here. 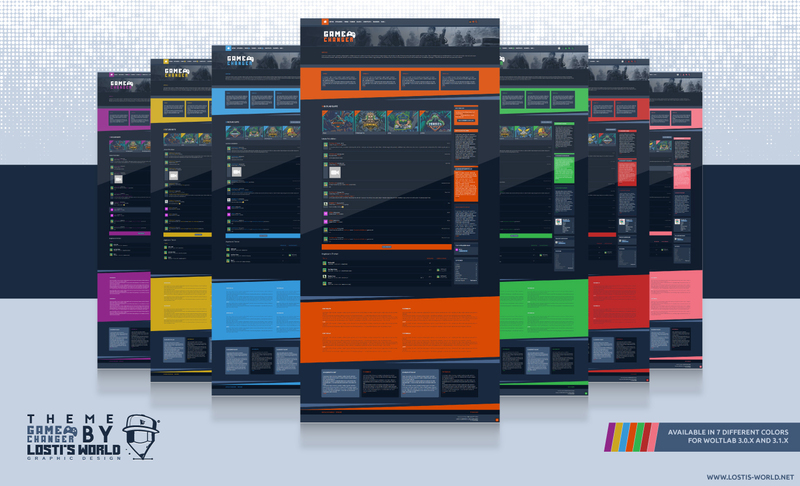 You can order Woltlab / OnePage Designs here. 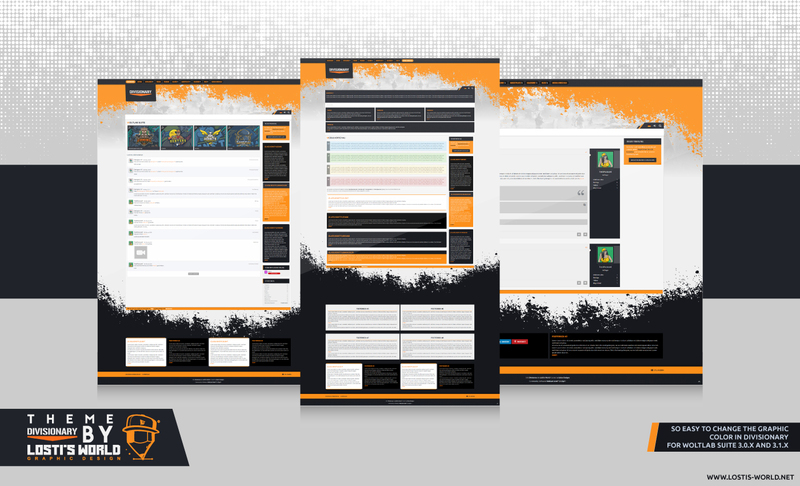 You can order graphics for your Facebook, Twitter, Twitch, YouTube channel/site here. You can order a t-shirt design here. You can order flyers, business cards, labels, posters designs here. 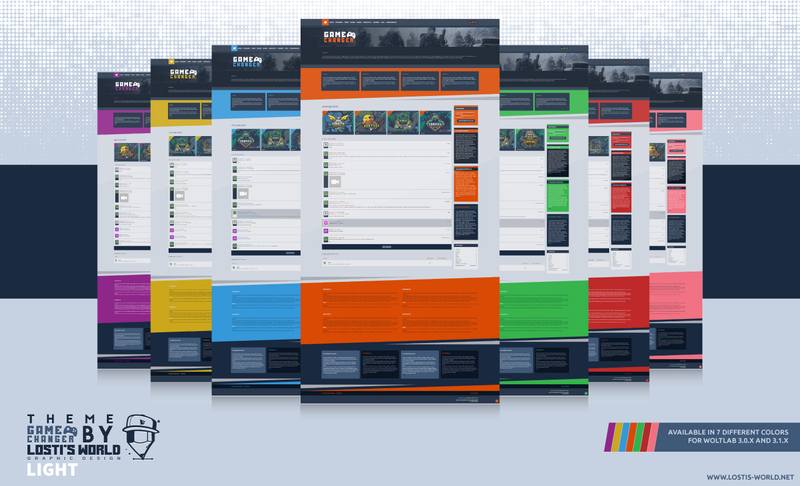 You need a complete package for your channel, clan or company, then order it here. For questions about the topics listed below, post here. You need a key for the the live demo? Get it here. You still have unanswered questions about my designs and the F.A.Q. ➚ will not help you? Then write your question in here. You have graphics from LoSti's World, then share your pages and channels here. There are problems with the website or you have suggestions for improvement? All news about LoSti's World will be posted here. •Here are 5 designs I currently working on. •As soon as a design is finished, the next design will follow. •If your design is not there, press the button below to see where your design is in the queue.